Adopting parents often ask me how they can build a strong parent-child connection. They are nervous and excited about “getting it right.” I believe that building a strong parent-child connection comes down to several key points that must become lifelong commitments. Adoptive Parenting, edited by Jean McLeod and Sheena Macrae, PhD. Be compassionate and develop empathy. Many of the children being adopted come from “hard places,” meaning they have been subjected to non-optimal care—neglect, abuse and little to no nurturing. Many don’t understand the concept of family. And all experience loss, sometimes many losses. These losses and experiences often impact their belief systems about themselves and their relationships, even and especially if there are no cognitive memories of these occurrences. Understand that your love is not enough. You need to be willing to be open, and work through the tough stuff, possibly revisiting events that trigger you feeling the need to avoid the unpleasant and face your fears, and help your child heal. All kids thrive when they understand what the limits are and what to expect. These include things like daily schedules, house rules and how we treat people. Boundaries build and reinforce respect and trust. Keep it simple and always provide your child with choices, possible asking them, when you feel they’re ready, for their input and agreeing on one you can live with. This provides them some control, an issue many adopted people struggle with. For discussion: What other ideas can you share that are important or have helped you in building a strong parent-child connection? I would add play with your child. That has been the key for our family in breaking down barriers and creating relationship. My husband and I have had to rediscover our child-selves and relearn how to really play. I can’t tell you how many hours we spent with our oldest daughter (adopted at age 9) on the floor playing Barbies and animals. But it was those moments that bonded us together. I know Karyn Purvis talks about that in The Connected Child – the most valuable book I have ever read on parenting. 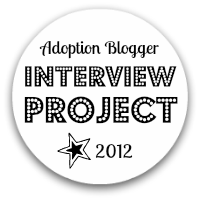 So how do you best handle adoptees’ loss and grief? Face it and address it! Don’t wait for them to bring up what may be troubling them. Open the door for them and let them know their adoption loss(es) is NOT a taboo subject, and it won’t hurt or anger you for them to talk about their concerns. Don’t wait for them to ask and assume that if they don’t they are not thinking about it. Don’t think that bringing it up will open a sore spot. It won’t if you can do it gently. Keeping it locked it it will fester. Know that cultural events and classes – even homeland trips – do NOT answer the really hard questions: who are my parents? why couldn’t they be keep me? do I have siblings or other extended family? And, do not make up “white lies” to placate your child! if you don’t know, tell them you are sorry that you don’t know.